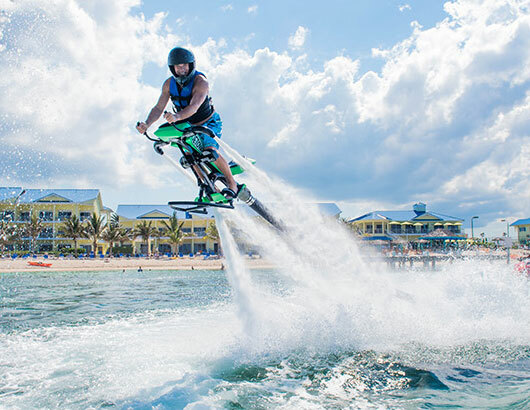 Enjoy snorkeling, kayaking, paddle boarding, guided jet ski tours, or fly like Iron Man on the Jetovator. 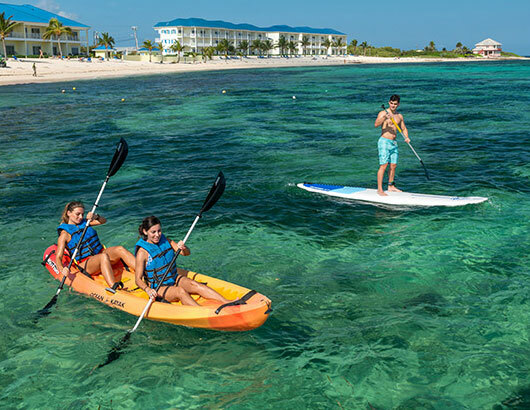 It’s all steps away from your room at White Sand Water Sports. 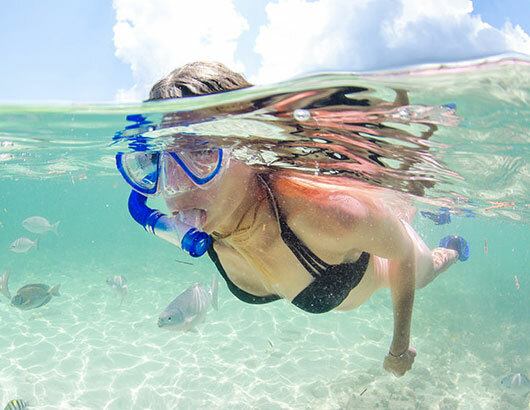 Rent our quality gear and explore the sea life that’s below the water. It’s refreshing, fun and beautiful! There’s a lot to explore and see with single, double, and glass bottom kayaks. You can also go on a Glass Bottom Bioluminescence kayak tour! We have a variety of stand up paddle boards that are great for viewing the scenery and getting a work out. 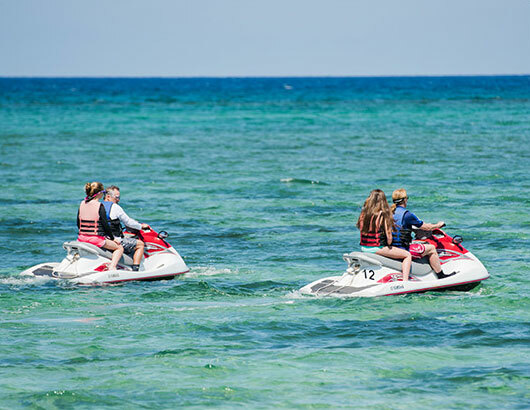 We offer guided jetski and wreck tours. It’s a 45 minute excursion along the coast to show you the wreck of the Ridgefield, gorgeous mansions, our unique sandbar and we’ll point out our diverse local sea life too! The Jetovator is a fun ride as you balance atop a moving hose. a height of up to height of 25 feet. Stingray City is one of our most popular attractions. 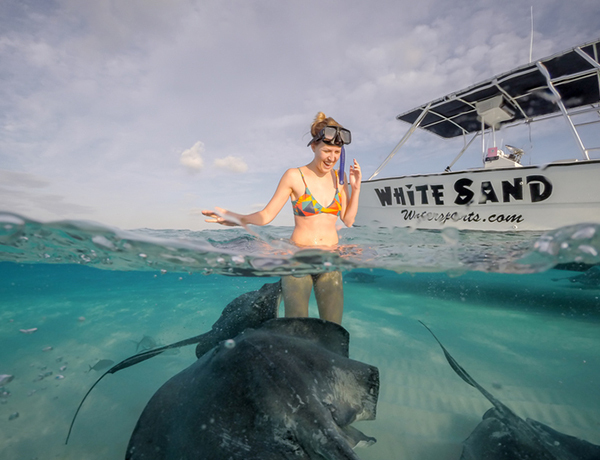 Imagine standing in the water to be greeted by friendly stingrays that swim near! The tour ranges from 3 to 5 hours and is 25 minutes off shore of Grand Cayman. During the tour, you can swim with, feed and take pictures with your new found friends! 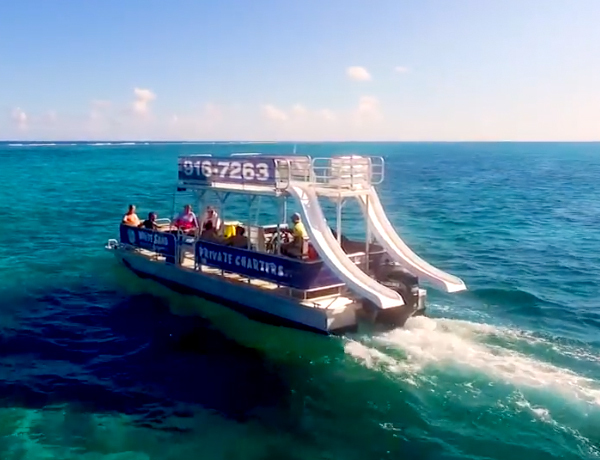 White Sand offers a uniquely fun snorkeling excursion on their double water slide pontoon boat adventure! Race your family and friends down the waterslide or jump off our second deck to add an extra splash to your snorkeling adventure.